Yates Yummies: Chicken Soup with Rice is ...Nice! According to my Google search, January is . . . . National Careers in Cosmetology Month, National Eye Health Care Month, National Fiber Focus Month, National Hobby Month, National Soup Month, Hot Tea Month, Oatmeal Month, and Prune Breakfast Month! I think the best one to celebrate is soup, especially since it's satisfying yet healthy enough to let one stick to a resolution to eat right. Roy and I love to have soup for dinner during these chilly days and this simple one is a favorite. He challenged me to put some of our favorite soups up on the blog this month, so here is the first one. Enjoy! If you haven't already cooked the rice, do that first. It can cook while you are putting everything else together and be ready to throw in at the end. Cook the rice according to package directions, but typically for 1 cup of cooked rice, you stir 1/2 cup uncooked rice into boiling water and cover it. Reduce the heat to low and let the rice absorb the water. It will take about 20 minutes for white rice but up to 40 if you are using wild rice. Wash, peel, cut off the ends and slice the carrots. It should yield about 3/4 to 1 cup worth. Wash the celery stalks, cut off the ends, cut down the middle, and then slice. You should have about 3/4 to 1 cup worth as well. Peel the onion and dice it. It should also amount to about 3/4 to 1 cup full. 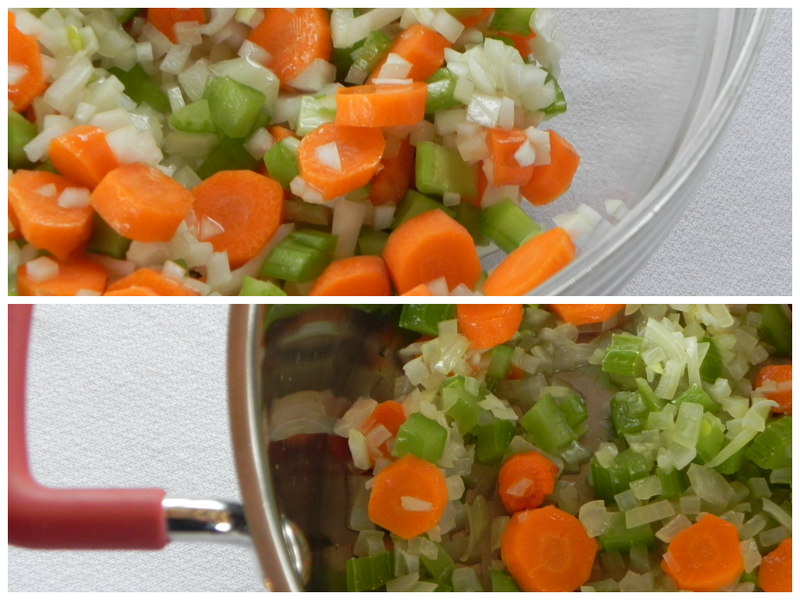 The next step is to saute the carrots, celery and onions in the olive oil until they are tender. If I am in a hurry, I put them in a bowl along with the olive oil, cover the bowl and zap them in the microwave on regular power for 6 minutes, Then I put them in the soup pot. Or, you can just saute them directly in the pan like most people do! When the vegetables are tender, add the cooked chicken, cooked rice, basil, thyme, pepper, and chicken broth to the soup pot. Bring it up to a boil, then reduce the heat. The soup can be eaten immediately, but if you let it simmer for 10 to 15 minutes more, the flavors meld together. 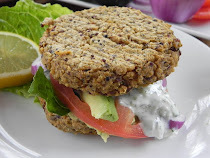 This makes a filling meal, especially with a nice green salad. 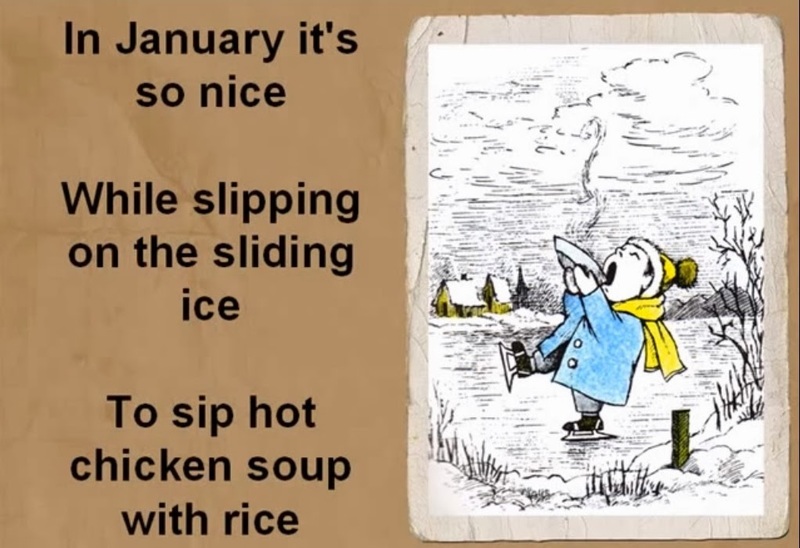 Enjoy and stay warm!